Towards the end of this month I will be an Aunt for the second time! Three years ago my sister had a beautiful baby boy, and now it’s Brian’s sister’s turn! I thought it would be the perfect time to give my new niece an outfit for memorable photos. While we did not get to attend the baby shower, when I heard about the theme of the baby shower (Growing a Mermaid) I knew just what to get for this little girl: a newborn mermaid outfit. BraziKat is a shop on Etsy with some of the most adorable items for babies and young children. The shop owner, Katia, crochets dolls and cute outfits sure to steal the show. Some of my favorites are the hats and, of course, mermaids! Katia was easy to work with, and the turnaround time was insanely quickly! I showed her a picture of the nursery colors and she gave me perfect matches from her yarn stash. The light turquoise hue of this yarn was the perfect color for the mermaid tail. Katia suggested the multicolor yarn as an accent and it fit perfectly! In addition to the beautiful mermaid outfit, I got a few other goodies that went with the theme. 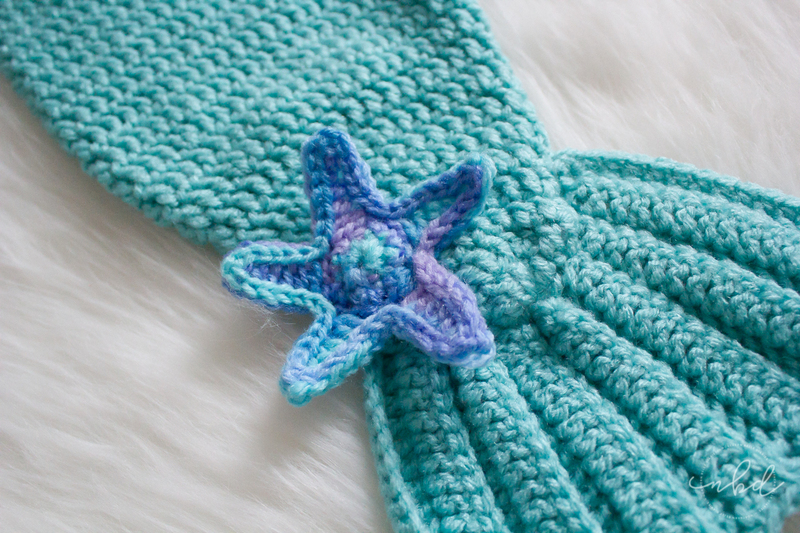 The adorable octopus matched the ‘ocean’ multicolored yarn and the flower headband. Plus it was cute and soft enough for a crib! This Little Mermaid book was too adorable to pass on. I thought it would have different textures for tactile surprises, but it is a hard book. Either way, it will look pretty on her bookshelves and will be the perfect addition to a nighttime routine when she’s older. I found a cute set of a ‘mermaid kisses’ dress and onesie on Amazon. When shopping for babies, I always try to purchase 3-6 month old clothes since babies seem to grow so quickly. It’s not unheard of newborns outgrowing their newborn-size clothes in a matter of weeks rather than months. Since my niece will be a summer baby, the turquoise summer dress was a natural choice. I love the waistline of this mermaid tail! The care and attention to detail in Katia’s work is obvious when you first lay eyes on her creations. When I opened the package, I could feel the amount of love that went into the making of this mermaid outfit. The pearls were not only the perfect finishing touch, but they are also the birthstone for all June babies. Thank you, Katia, for such an amazing addition to my niece’s nursery! If you also have a baby joining your family, I highly recommend contacting Katia for a memorable gift that will be loved and cherished. You can see more of her creations on her Instagram account @brazikat and on her Facebook page. I’ve been waiting to publish this post until my sister-in-law received the package. It has been so hard! It arrived a few days early so I’m happy to finally share this on the blog. Now it’s just a waiting game until the little mermaid makes her appearance. THIS IS SO WONDERFUL! ❤️ I cannot wait to put her in the outfit that her Aunt Lisette and Uncle B got her! Jake and I are so grateful.